The purple emperor, one of Britain’s rarest butterflies, made its earliest appearance this year when it showed up at the Nation Trust’s Bookham Common on June 11th. 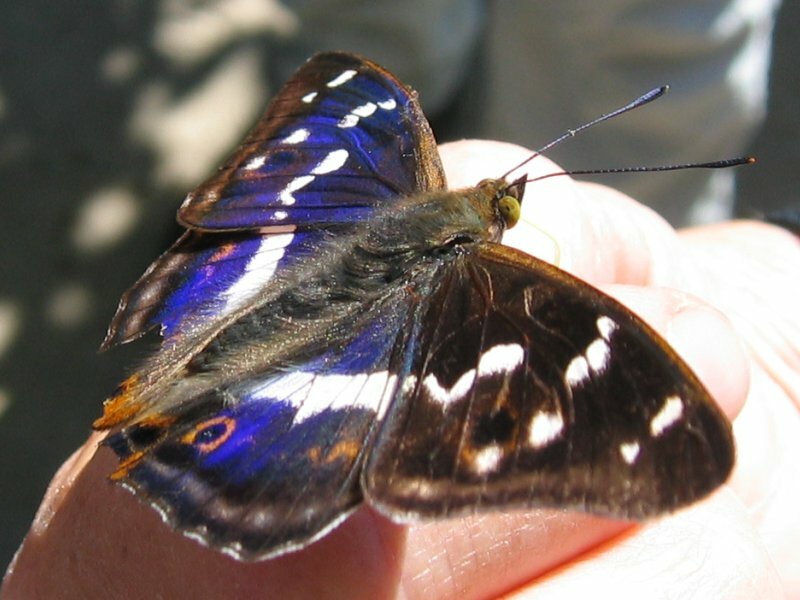 The purple emperor, or Apatura iris, despite their names have dark brown wings with white bands and spots. The males have a purple tint that the females do not have. They are some of the largest butterflies found in Britain with the males having a three inch wingspan. The previous record for an early showing of the purple emperor was all the way back in 1893 when one was spotted near Malborough College in Wilshire, on June 10th, by a group of school children. The butterfly’s population has dropped over the last 100 years, restricting itself to wooded areas in the south of England, but in recent times appears to be expanding it’s living area outside of the region. It is closely monitored by experts as they try to protect its habitat. The purple emperor was once one of the most common species found in southern England but by the 1960s it was becoming rarer to find. With a reliance on wooded lands to make its home the emperor’s population drop can be attributed to such obvious human interferences as Word War I and World War II and industrialization in general. This year’s early sighting is encouraging to researchers after last year’s population recording was the lowest since 2007.